Can you have a story that mentions Norse Mythology without Thor? Nope. Not only is he the God of Thunder, he’s the one who gives Jarnsaxa an axe to grind. Derek Meyer lends his voice to the Scandinavian hero who’s worshipped everywhere from ancient farming rituals to kids’ lunch boxes today. Thor is generally seen as a warrior god. However, his marriage with Sif (goddess of fertility) let his role widen, to one who brings rain for fruitful harvests. 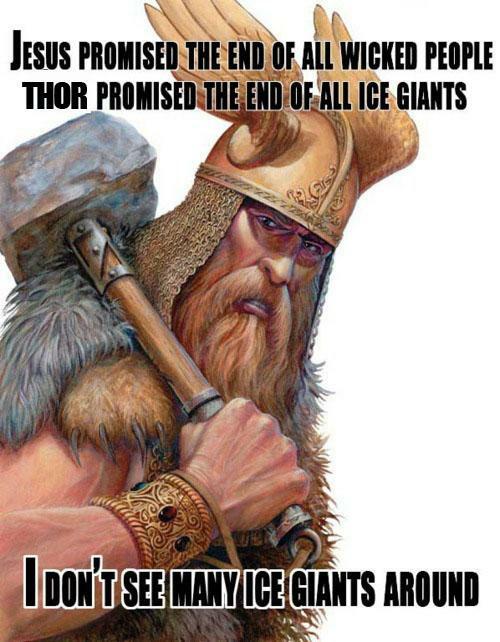 When Christian influence came to Scandinavia, emblems of his hammer, Mjölnir, were worn by those loyal to pagan faith. In time, the hammer symbol became blended with the Christian cross, to show a compromise between the faiths. Despite its name’s original meaning, “that which pulverizes to dust,” the symbol became a mark of protection in place markers and amulets. 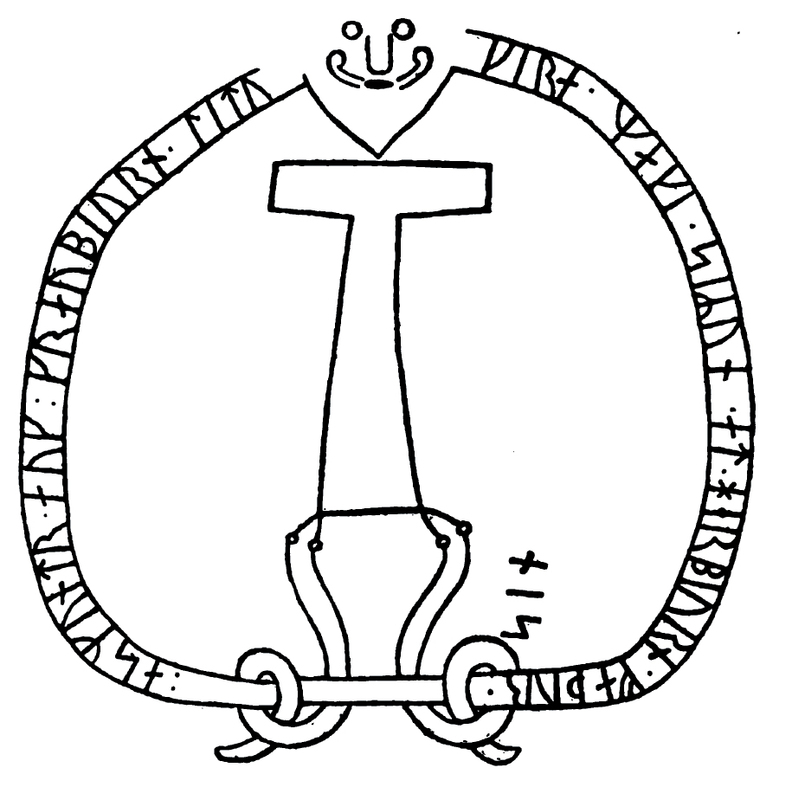 Thunor the Thunderer, carved on the runestone Sö 86, about the year 1000. Thor’s relationship with Jarnsaxa has been described as lover and sometimes a spouse, but the relationship is not completely amicable. Though legend claims she fed and protected Thor against the frost giants, the sons he sired with her are not as hospitable. One, Magni, embodies boundless strength, the other, Modi, homicidal fury. Legend predicts that when Ragnarok comes, and Thor loses his hammer, it will be laid at their feet. He must have really done something to make her very, very angry. Fortunately, Derek is not a bad guy. He’s also remarkably concise. 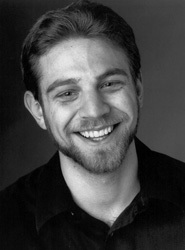 Derek has been living and acting in the Twin Cities since 2007, and works at The National Theatre for Children. He likes riding his bike around the city, and even the suburbs at times. He also enjoys dancing and is hoping that is featured in this project. What made you decide you wanted to do this project? I actually heard this play being read years ago and thought it was interesting, so I am looking forward to seeing where it goes. Who’s your favorite character in Norse Mythology? My favorite character in Norse Mythology is Hel…because she scares the crap out of me. I just picked up “The Windup Girl” by Paolo Bacigalupi. Depending on the show I like to either work out or take a nap. I actually had to check on this one and the honest answer is one small empty cardboard box…I have no idea what it held at one time. Want to help this project? You can make our podcast available for free to everyone by contributing to our Indiegogo campaign. Join us! Next postWe are fun, and you can join us any time.